If you value your relationship, read this page from beginning to end, we promise you, we will show you how to make things better. Feeling Stuck Because You Don't Know Where or How to Start? When you've been lied to or cheated on (or maybe you're the one who cheated), you might be trying all kinds of things to get back to the way your relationship used to be--but they end up being "wrong." That's mostly because people who have been cheated on or lied to just don't know what to do at first. Or they just decide to try to act like it never happened. It might seem like a "smart" idea to try to pretend it didn't happen since you're avoiding conflict. However, neither approach will help the two of you build trust and this could be even more damaging in the long run. Today, in addition to having a great relationship between the two of us filled with with lots of love, trust and connection. The truth is that it wasn't always this way. At the time we're writing this letter to you, we've been together 19 years and before "finding" each other, we were both married to other people and were with them for quite a while. In fact before getting together, Susie was married to someone else for 30 years and Otto was married to someone else for 15 years. We didn't realize it then, but in hindsight we made every mistake possible in our previous relationships and marriages. We did plenty of things that were not what you would do if you wanted to have that relationship filled with plenty of trust. Most people don't learn from the mistakes they make in their relationships and life and just continue to stay stuck in old familiar patterns. That's what we did until one day we realized that unless we thought and acted differently in this relationship, it would die just as our previous ones did. 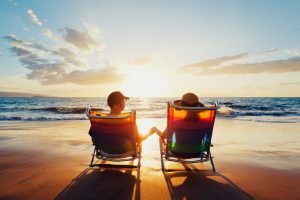 Because of what we learned and what we're about to share with you, you may not have to leave your current relationship or marriage in order to rebuild trust and create a closer and more connected relationship. Do you have challenges communicating openly with your partner, especially after what's happened? Is your relationship or marriage in trouble or dying because of unresolved trust issues and you don't know how to get out of the limbo you're living? Are you suffering from emotional pain because you want more from your partner and you're not sure you can trust him or her anymore? Are you staying in this relationship even though the trust is gone just because you don't want to go through the pain of a break up? Do the lies seem to go on forever? Does he or she say they'll change but nothing ever does? Do you ever wonder what you can do to get the love you really want in this relationship or marriage? If you said "YES" to any of the questions we just asked you, not only are you probably feeling a great deal of pain about your situation but you are now beginning to see that your relationship or marriage may be in more trouble than you thought as well. We've just created what we think is the best and most complete program available anywhere on how to rebuild trust in a relationship or marriage that's been broken. ...it's also the name of our program. "Relationship Trust Turnaround" is more than just an ebook. It is a complete "soup to nuts" program for rebuilding trust and restoring your relationship, as well as your sanity. Gives you all you need to start turning trust around and rebuilding your relationship right away. two special reportsAll tightly focused on helping you heal this painful situation you're living with. Start learning these incredible secrets and strategies for rebuilding trust almost immediately after you let us know you want the program. "I have found your books to be both inspiring and educational. I have learnt important things about love and relationships that I never paid enough attention to in the past. I have discovered many ways to keep my love alive and they have also opened me up to the idea of re-examining myself and my life and my expectations of love and my partner. "Even though I do not know you both personally, I felt a deep connection to you. I thank God for you both and I am thankful that you took the time to share your wisdom and experiences with me." "Clear and practical relationship advice..."
"Concise, clear format with step-by-step tangible tools..."
“I participated in the seminar last night and the night before on relationship trust. I found this program to be well organized and presented in a concise, clear format with step-by-step tangible tools that one could incorporate easily in one's everyday life. 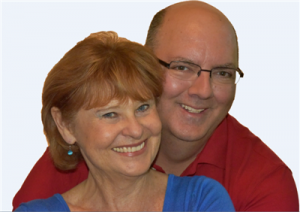 "I appreciate not only the great information provided at an affordable price, but I respect both Susie and Otto's compassionate, caring and thoughtful responses to some of the seminar participant's questions. Here's What You Get Inside "Relationship Trust Turnaround"
In Part 2... This is where we lay out our exclusive, breakthrough step-by-step process for rebuilding trust. We also share new insights about how you truly can see the big picture that is so hard to see when you are being blinded by the pain of what you're going through. In Part 3... We give you specific strategies for learning to trust yourself, making conscious choices instead of reacting, speaking your truth from your unfulfilled or unspoken wants, needs or desires and making requests that are able to be heard and understood--and most of all, how to communicate with ease. In this third part, we go in-depth in answering some of the most burning questions you may have right now. Woven within the pages of this "Relationship Trust Turnaround" guidebook are our personal stories and the questions & stories of real people who gave us permission to use their words with the hope that their experiences would be helpful to you as you discover how to rebuild trust and restore your relationship or marriage. There are questions at the end of each chapter to help you examine your specific situation more closely and to give you more clarity about your situation and what you need to do in order to restore trust. Audio 1 & 2 "Answers To The Ten Top Questions About How To Rebuild Trust In A Relationship or Marriage"
How to stop imagining "worst case scenarios,"
Our answer to the question "Is jealousy ever warranted"
Spying--should you or should you not do it? "Otto Collins Interviews Dr. Bob Huizenga (The Infidelity Coach) About His Secrets and Strategies for Helping You Rebuild Trust In Your Relationship or Marriage"
"Otto Collins Interviews Leslie Karen Sann On Forgiveness"
A better way to "forgive and forget"
21 immediately useable and practical ideas for reclaiming your relationship, improving communication and rebuilding trust. All you have to be willing to do is invest a little time, effort and energy into learning some new skills ideas and techniques that will dramatically improve the quality of your relationship and we'll take care of the rest. If you have even an ounce of desire to heal the trust issues and challenges that have come up for you in your relationship or marriage, we sincerely believe this program can change your relationship and your life. ...if so much has happened that you are unwilling to give it one more try, then you should probably pass on this info and not bother downloading it. This program is for people who want more love and a better relationship and are willing to try some new ideas and strategies in their relationship or marriage and do something about it. The truth is that nothing will change if you don't change something and in this program, we're giving you the tools to create trust much easier than you ever thought possible. If you've read this far on this web page, we're thinking that you're someone who really is interested in making your relationship better and you're willing to be open to some new ideas. 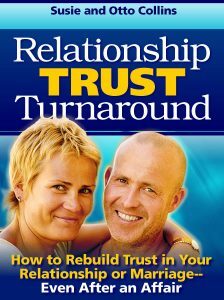 Download our complete "Relationship Trust Turnaround" program now and start going through the information right away. It gives you everything you need to know to be able to rebuild trust before your relationship or marriage reaches the point of no return. This program is the most complete course available anywhere on how to rebuild trust. Nothing has been held back. As you know, money is one of the biggest areas in relationships where conflict often comes up. How to handle sensitive money issues in relationships. How to reconcile financial concerns in blended families. Bonus #2: Special Report from Leslie Karen Sann... "Freedom and the Art of Forgiveness"
This is an incredibly valuable 12 page instantly downloadable companion "handout" that will help you get even more out of the interview Otto did with Leslie on Forgiveness that is included in this package and described above. 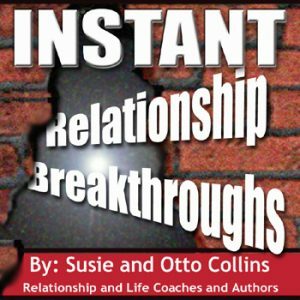 Bonus #3: Special Report from Susie and Otto "10 Communication Mistakes Most People Make In Their Relationships and What They Can Do To Fix Them"
This 21 page special report contains the master keys on how to start improving communication now with everyone in your life. This will give you even more help with communicating with your partner as you move toward rebuilding trust and restoring your relationship and connection. Most people who have trust issues in their relationships tend to stay stuck in their pain for a long time because they don't reach out and get the help that is available to them if they will only say yes to it. We've also found that many of these same couples who have trust challenges continue going down the same path they are on (sometimes for years) and continue to let this issue destroy their relationship or marriage. When you apply what we share with you in "Relationship Trust Turnaround" to your relationship or marriage, you will potentially save yourself years of emotional pain. If you've been trying to work through your relationship trust challenges by yourself, our help can be a lifesaver. If you're already working with a therapist, then this information we're offering is an affordable way to take the work you're doing with them to a whole new level without a lot of cost. When you apply what we share with you in this program, you'll be able to understand everything you need to know to start turning trust around right now. By knowing this information, you'll be able to rebuild trust with your partner, regain your connection, keep your relationship together and help you to get the love you really want. You owe it to yourself, your relationship, your family to do whatever it takes to rebuild the trust in this relationship now. Don't waste another minute of your time feeling like you are disconnected, disrespected and unloved. Click the "Add to Cart" button below to get our "Relationship Trust Turnaround" program to start creating a happier and healthier relationship.